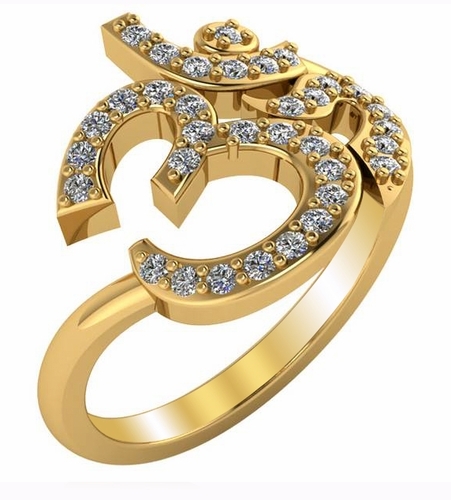 The Om Symbol Pave Set Cubic Zirconia Yoga Meditation Ring is popular among yoga and meditation enthusiasts. 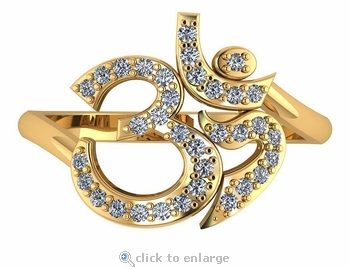 The Om symbol is written in Sanskrit with each part of the symbol having a particular meaning. The Om or Aum represents the four divine states of Brahman that include metta or loving kindness, karuna or compassion, mudita or sympathetic joy, and upekkha or equanimity. Brahman is actually a core belief system in both Hinduism and Buddhism, both of which use Om regularly in their daily life. The ring is set in a solid 14k yellow gold, 14k white gold or platinum mounting with pave set round Russian formula diamond look cubic zirconia that are hand cut and hand polished to exact diamond specifications. 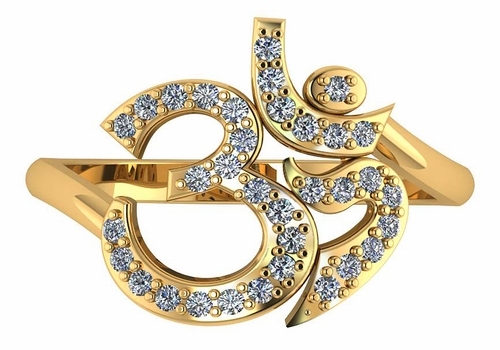 The Om or Aum Ring measures approximately 15mm in diameter at the top with a shank thickness of approximately 2.25mm. Choose from 14k yellow gold, 14k white gold or platinum, please see the pull down menu for options. We also offer a Om Symbol Pendant, please see item P2100. For further assistance, please contact us directly at 1-866-942-6663 or visit us via live chat and speak with a knowledgeable representative.